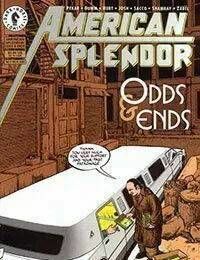 Harvey Pekars American Splendor is back again! This issue features an odds-and-ends collection of Pekars strips with several different artists, including Joe Sacco, Joe Zabel, Gary Dumm, and long-time collaborator Gerry Shamray! Youll see Harvey Pekar tell ya exactly how he feels about everything from music to moviemaking! Plus, youll find out what he reallythinks about his own comics and about selling out to Hollywood! For something really different, try this no-holds-barred, autobiographical comic . . . theres nothing else like it!